Hello everyone! Park 6 is coming out tomorrow and I’m sure that everyone is just as excited as I am! Since seeing photos of Park 6 figures, we noticed that Disney decided to go with a bit of a Disney World theme, as well as Paris and Disneyland. 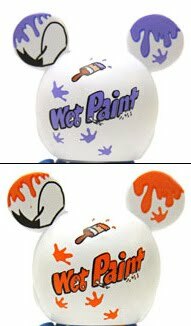 Being from California and also always making (at least) one trip a year to Disney World since I was 5 years old, gives me a little background on both the Disneyland side as well as the Disney World side to Park 6! The Norway troll is located in Disney World’s Epcot World Showcase in Norway! I think it’s great that they made a 3” version of this figure that stands extremely tall in Norway in Epcot. Everyone always stops to take photos with the troll and it is definitely the landmark in Norway at Epcot. 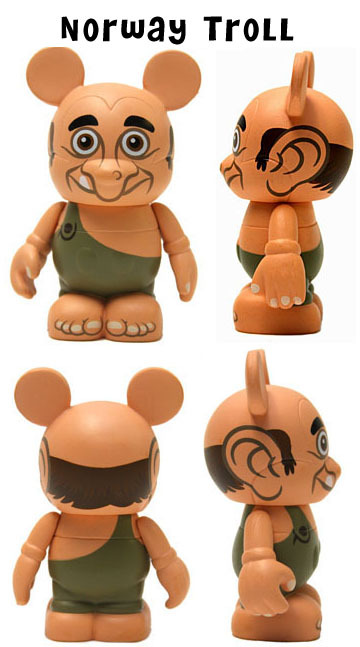 Sadly at Disneyland we don’t have any Trolls but, hopefully everyone will one day make a trip to Epcot and see him for themselves! I love the Hollywood Studios Clapboard! Hollywood Studios is located in Disneyworld but here in California we do have California Adventure. In California Adventure we have, ‘Hollywood Pictures Backlot’ which is a little similar in the name to Hollywood Studios. The back shows different sayings like, Lights, Camera Action, which goes along with DCA’s Hollywood Pictures Backlot as well as Hollywood Studios. Here comes a variant! The Walt Disney World Road Sign is a great figure! Always making trips to Disney World, this reminds me of sitting on the buses and going from one park to another. I love this figures and think that the variants work perfectly! 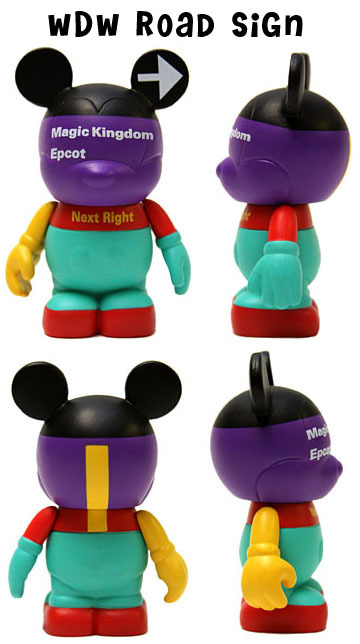 The original figure says, “Magic Kingdom and Epcot” the 2 variants say, “Animal Kingdom” and “Theme Parks and all other guest areas”. Here at Disneyland we do have signs that point guests in the right direction, but none as memorable as the ones from Disney World. Another variant! 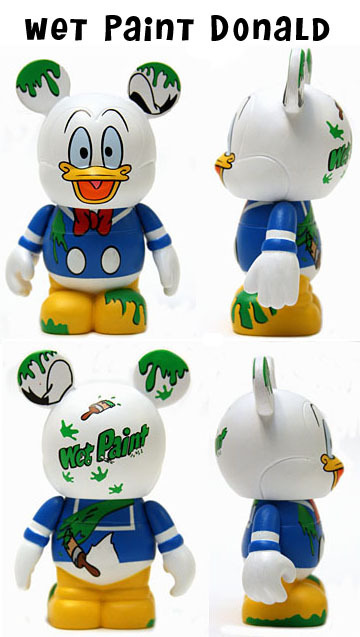 Everyone loves when they place a classic Disney character into the set, and Wet Paint Donald is no exception. 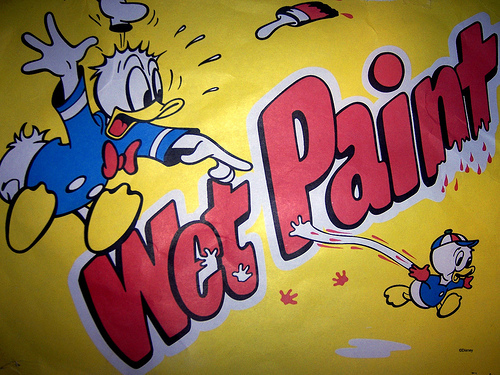 Wet Paint Donald was found all over Disney World and Disneyland Park when painting was being done. It is a fun and familiar sign to guests and everyone will love this Vinyl! Donald comes in 2 variant colors, purple and orange. Monstro is from the Storybook Land Canals in Disneyland. This is a great figure because Storybook Canals is such a memorable ride, especially the entrance through Monstros mouth! This is a landmark in Fantasyland and everyone will know exactly where he is from within the park! Disneyland Paris is incredible! This figure really shows how intricate and fun Disneyland Paris’ Space Mountain attraction is! 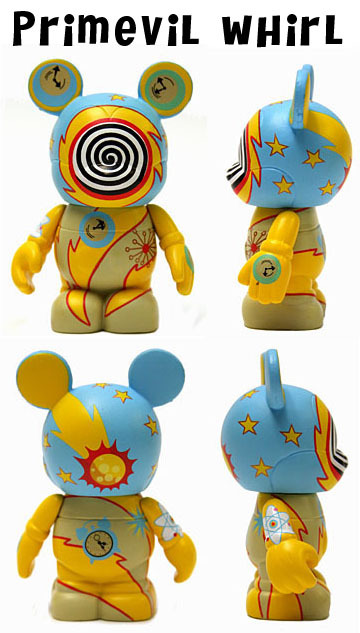 Disneyland’s Space Mountain is not as colorful and fun as this figure, but has a white outside and more of a blue color scheme inside. 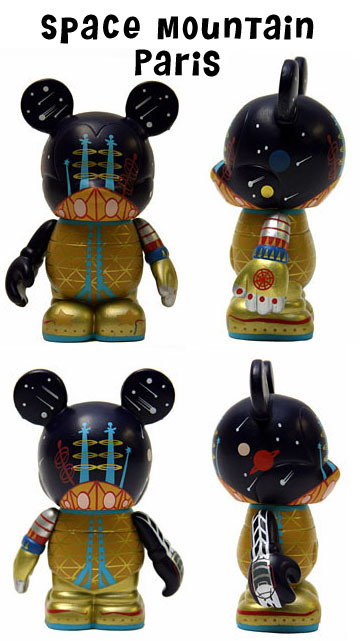 This figure is fun because it will go along with Park 4’s Tomorrow Land figure! Everyone loves the Monorail! This is the next figure to come out as a Monorail except this time in Orange. Monorails are found in Disneyland as well as Disney World and help guests get to and from certain areas. This figure has nothing to do with Disneyland or Disney World but has to do with the cruise line. This figure is modeled after a raft that is used on board. 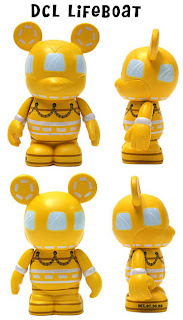 This is a fun addition to Park 4’s Cruise Line figure! Going to Disney World as a little girl I always remember going to Cosmic Rays Starlight Café with my Mom and Grandparents. I love that they made this figure it looks exactly like him! 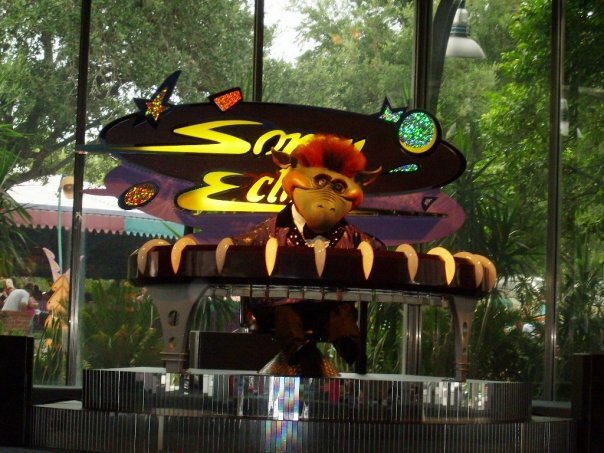 Some people who have not visited Disney World may not understand who or what he is but once they eat at Cosmic Rays they will love him. 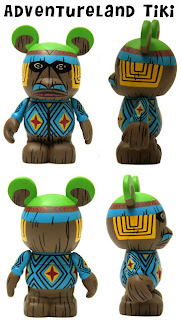 This Tiki is a great Adventureland landmark! From any Disney Park, everyone will recognize this guy! 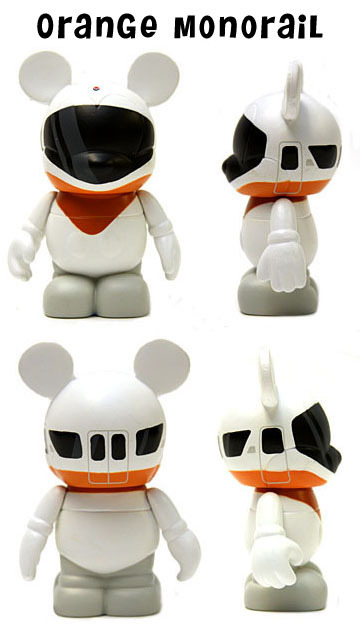 In Disneyland we have these guys near the Dole Whip stand. 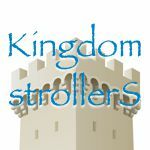 This is such a wonderful take on the Animal Kingdom attraction! We don’t have a Primevil Whirl here at Disneyland but if you have visited Animal Kingdom you will recognize the design immediately. 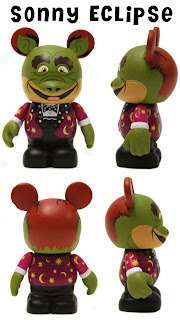 I don’t want to spoil the chaser but this guy has showed up in many Disney Parks and I’m sure his face is somewhere in your wallet! 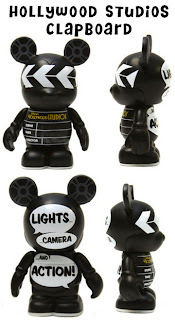 Great addition to the Mickey combo toppers! 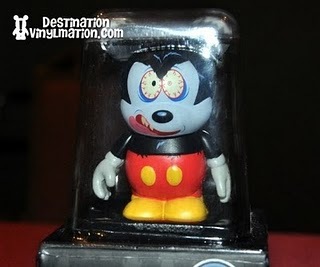 A bit scary but, still Mickey! Hope everyone enjoys Park 6 tomorrow!